The previous evening, Simon and I got in to a heated discussion after Simon told me about something he was considering, and I had a huge reaction. That’s an understatement by the way, because it was an outburst I couldn’t control. I couldn’t eat, I just cried until I fell asleep. During breakfast we could talk a bit more calmly. I didn’t feel we were done with the discussion when I started walking, but that we at least had taken one step further towards understanding each other (and maybe even ourselves). While pondering our discussion, I had a nice walk over the mountains. The colored trees were still beautiful, but not as vivid, since a lot of the leaves were now on the ground. When I came on the road again, I met Simon. We ate some before I continued up towards Øvre Dørålseter. 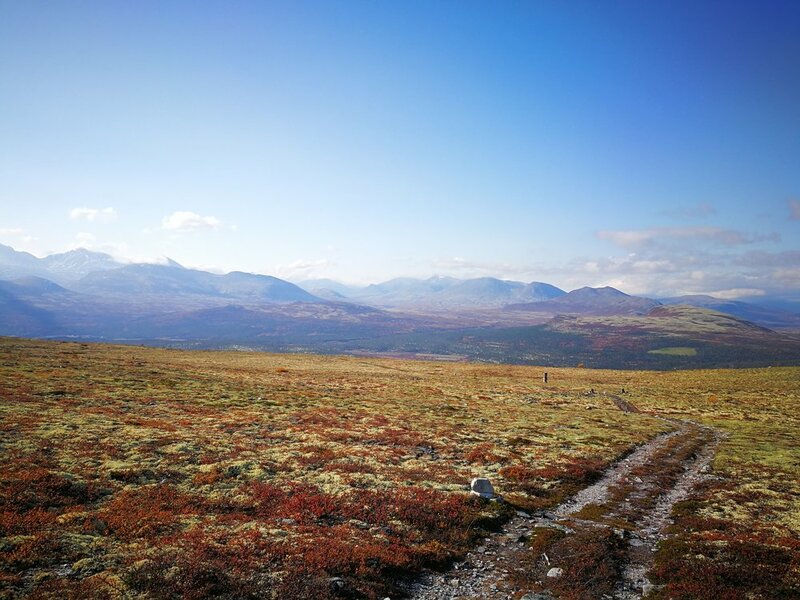 I was now in Rondane, and already, the view was breathtaking. When I planned this trip, there were two places I was most excited to visit: Narviksfjellene and Rondane National park. So when I woke up to thick mist the morning of entering the latter, I was taken by grief and disappointment. A feeling that got intensified tenfold after checking the weather report. Misty, three blue degrees and wind measuring up to 17 m/s. Which meant, not only would I not be able to see anything, it would be downright dangerous. But Simon was there. While I was crashing, he was steady as a rock. My rock. We checked the weather report on his phone as well, just to be sure, and it told us that later that day, it was going to clear up around 1 p.m. Simon then suggested that if we could wait for it to clear up, we could walk for a while, and take some pictures before heading back to the van. I didn’t know if I had it in me to let go and relax, but when he put on Disney’s Alice in Wonderland and kept stroking my hair, I could. Before setting off, we prepared lunch. The mist was definitely clearing up and we could see patches of blue sky coming our way. It was so nice to walk with Simon in the mountain, we enjoyed the scenery, the sun and each other’s company. I was so grateful for this opportunity, and I was able to take a lot of photos. Seeing as the weather changed so completely, I decided to walk over the mountains, all the way to the next cabin, Rondvassbu. 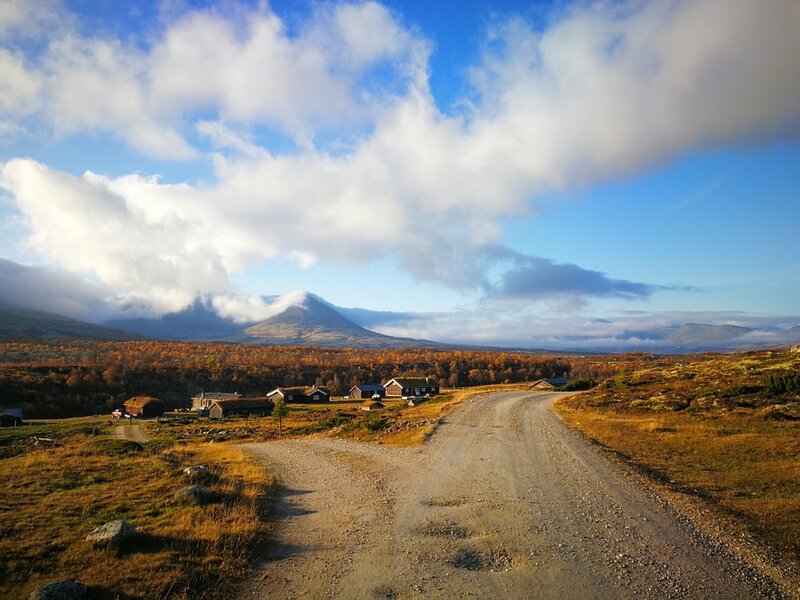 I also noticed on the map that it was a gravel road from Rondvassbu to Mysuseter, so I thought if the stormy weather on tomorrow’s forecast turn out to be right, at least I’ll be back on the road and not stumbling through mountains. After 3-4 hours, we then parted, Simon went back to the van and I continued south. After a few hours, I was standing in front of the most challenging mountain ascends yet. It was like climbing the stairs of Cirith Ungul, right up to the Misty Mountain. On 1500 above sea level, I couldn’t see more than 20 meters in front of me. I had to walk from marked stone to marked stone not to loose the trail. I was down on the other side just before it got to dark. Seeing as I was back on a road, I felt safe enough to continue with my tiny headlamp as my only light source. It was so peaceful and quiet, I even turned off the light, so I could wander in complete darkness. That was a completely different experience. I used a couple of references from Lord of the Rings back there, allow me to use one more. Frodo would never have made it to Mount Doom without his Sam, everybody knows that. During this trip, I have compared my trip to Frodo’s journey several times, wishing I had a Sam by my side too. Not that I am carrying a ring of evil, nor am I dreading my destination, but Frodo and I have had a thing or two in common. Especially that part about Sam. The help I’ve achieved, in the form of either money, compliments, food or a friendly wave, has meant everything. So during my trip, I have met a lot of Sams, I’ve even been my own Sam, but Simon is my true Sam. Even though I had been walking for 10 hours the previous day, I had a lot of energy. Simon was not feeling too well, so I made myself some breakfast before walking down to Otta, so he could sleep on. Simon drove down some hours later, and we met and went to the shop to buy some food. The refrigerator in the van was no longer working, so we had to buy food everyday, or food that didn’t need to stay cold. After shopping for groceries, I went to Pillarguri Café for a warm waffle and free wifi, while Simon slept in the van. 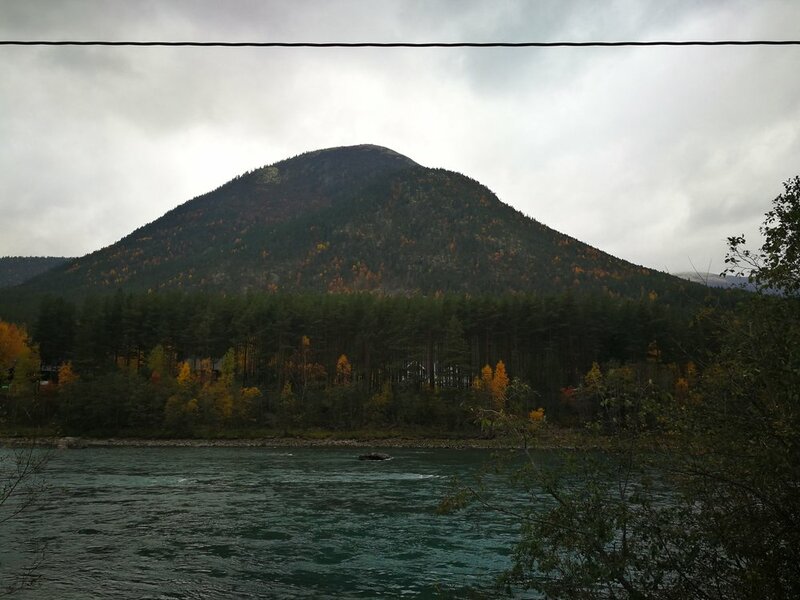 I thought of spending the rest of the day in Otta, but seeing as I still had some energy left, I decided to hike for a couple of hours more. I walked on the old road, following the river, it was quite beautiful. After 12 km, Simon picked me up and we found a perfect camping spot just next to the river. Here, we made ourselves a good meal and an even better cake and rounded off the evening with a good old-fashioned western – “For a few dollars more”. The autumn air was fresh and cold when I started walking that morning. Heidal was on the other side of the mountain, so it was a steep climb before I could descend and reach my destination. I was so stiff from the cold I took shelter in the closest shop while I waited for Simon to arrive. 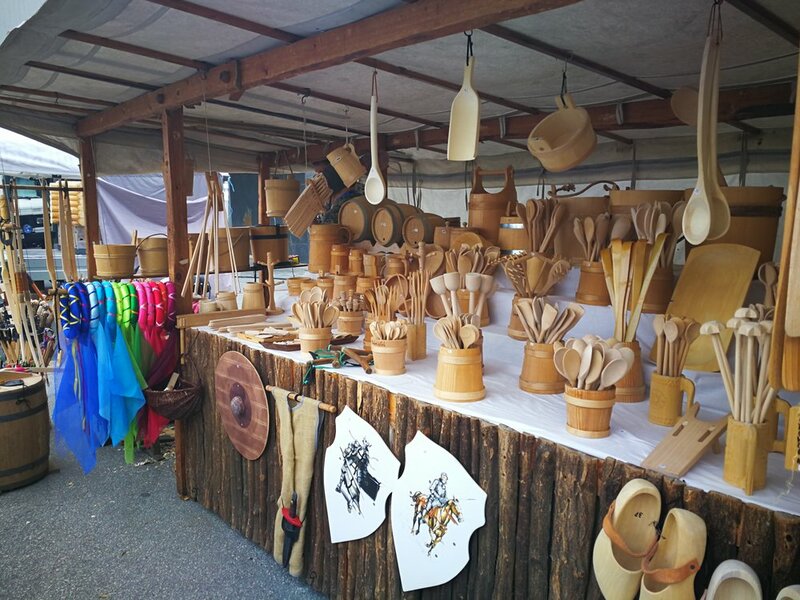 Since Simon was feeling better, we decided to go back to Otta to experience the “Otta Martnan”, a kind of farmers’ market, with the streets full of stands where you can get free samples or buy expensive stuff. When we had seen enough, we went back to the van and made ourselves some coffee and popcorn. 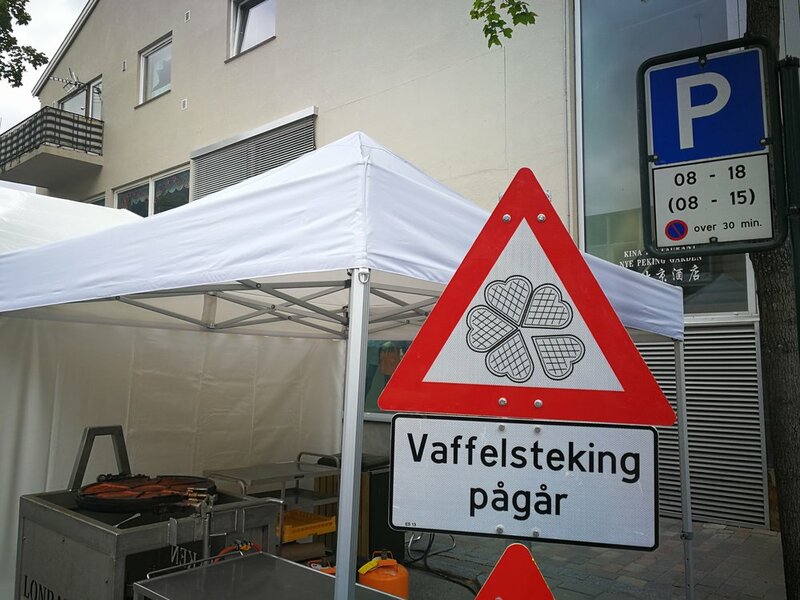 In the evening, Cathrine and Håkon knocked on the van door. Back in the day, I studied photography with Cathrine in Trondheim. When she saw my itinerary online, she contacted me and said I could get a shower and a bed at her parents’ place when I arrived Otta. So after we’d eaten at a Chinese restaurant in town, we drove up to Sel and Catherine’s parents invited us graciously in to their home. Not only did we get a shower, but we could also wash all of our clothes. Sorely needed, I can tell you! It was my time to get sick. I felt lousy. We got up, ate some breakfast Catherine’s mom made for us, bad everybody goodbye and headed off towards Heidal, where I had planned to continue my hike from. When we got there, however, I could hardly stand. I explained to Simon how I felt and he though I had caught whatever he had two days prior to this. It felt like my body was poisoned, that it was really trying to get rid off something. It felt just like a hangover, a really bad hangover (but seeing as I don’t drink anymore, I’m quite sure it wasn’t that). After throwing up, and while Simon was massaging my neck and stroking my hair, I drifted off into an uneasy sleep. The rest of the day, Simon took care of me and I was so grateful. The one time on this journey I got sick, I could stay in a warm bed and be taken care of. I got my period! Yay, only 104 days late. It’s been quite nice not having it while travelling, but it’s not a good sign. So I take it my body is now recovered. I was still feeling a bit groggy and the menstrual pain was quite bad, so I just walked up to Randsverk, approximately 16 km and stopped for the day. We parked close to a public toilet and had a good time sitting inside the van while the rain was hammering on the roof.